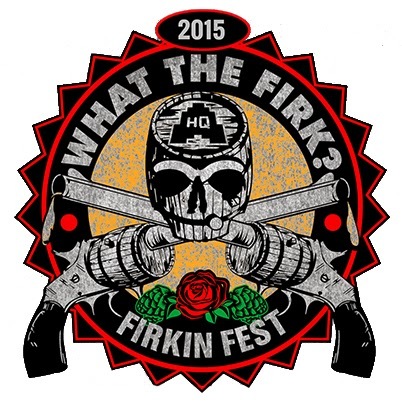 Hail To The Ale: Fest Review: The Second Annual What the Firk? On Sunday, March 29th, I had the great pleasure of attending What the Firk? Firkin Fest held at Headquarters Beercade in River North. Everything about this fest was unique – the location, the beer offerings, and the ability to speak directly to brewers and reps.
Headquarters Beercade has wall-to-wall arcade games that are free for unlimited play, from Pac Man to pinball, and even my husband Matt’s favorite Teenage Mutant Ninja Turtles arcade game. (He jumped up and down like a little boy when he saw it). The games made the whole atmosphere fun and laid back, and gave you a short reprieve from sampling if needed. On top of this, HQ also provided a free buffet of delicious food for all the fest-goers to enjoy. The 50 beer offerings were all one of a kind, many of which were dry-hopped or had spicy pepper additions. Two Brothers got super creative and even added blue raspberry warheads and habanero peppers to their popular extra pale ale Sidekick. Metropolitan served a beautiful, crisp lager Heliostat, dry-hopped with subtly spicy and herbal Sterling hops. Some breweries, such as Three Floyds and Off Color, chose to go old school and presented a popular beer of theirs (Zombie Dust and Scurry, respectively) served at room temp from the cask (although, Off Color did claim to have added magic to their cask of Scurry). Having tasted both of these beers on draft and in bottles before, it was interesting to try them in their pure form at room temperature, too. Probably my favorite aspect of this fest though, was that a brewer or very knowledgeable rep from each participating brewery stood right beside their cask and explained how the beer was made as you drank it. There were no lines (people opted to play arcade games rather than wait around), so you felt free to stand and chat with them for a few moments before moving on to the next offering. This fest afforded everyone the opportunity to have relaxed conversations with brewers and fellow beer fans alike, because there was absolutely no pressure to keep a line moving. 1) Desthil (Bloomington, IL) – Ta’Gose: Desthil added lime, peppers, and cilantro to this cask of their Wild Sour Series gose Here Gose Nothin.’ These additions cut the typically sour and salty beer with complex, savory qualities that added so much depth. This tasted of lightly sour lemon and lime, coriander, hints of pepper, and had a chewy, bready finish–phenomenal! I had such a great time at this fest. It was incredibly refreshing to attend one without the frantic scramble to get into line before a keg kicked. I am already looking forward to next year.